Ulrik Lassen, Professor, MD, Ph.D., is specialised in internal medicine and medical oncology. 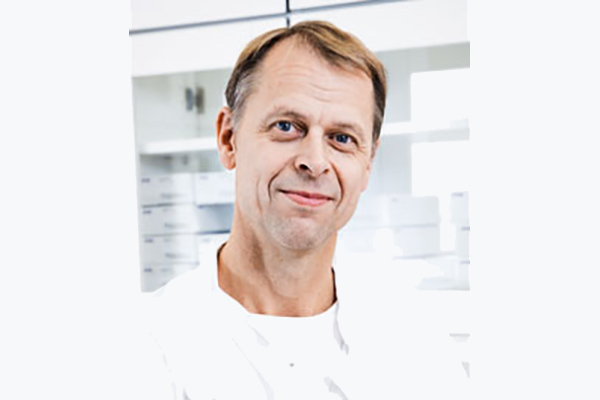 He graduated from the University of Copenhagen in 1991 and started training in medical oncology in 1992. In 1998 he achieved the Ph.D. degree on a thesis on PET imaging in oncology, and he was ESMO board certified in medical oncology in 2003. Ulrik Lassen established the Phase I Unit at Rigshospitalet in Copenhagen in 2005 and headed the unit until 2017. The unit received more than 500 new patients for Phase 1 cancer trials annually and started screening with WES and RNA-seq in 2013 in order to allocate patients for targeted therapy. He became professor in Oncology in 2015 at the University of Copenhagen with focus on precision medicine and early drug development. Since 2017 he has been head of Department of Oncology at Rigshospitalet, Copenhagen..
From 2011-2015 Ulrik Lassen was president of the Danish Association for Cancer Research and from 2014-2017 president of the Danish Society of Clinical Oncology (DSKO).